Johnny Cash appeared on the Austin City Limits Show in 1987 along with all three of the Carter Sisters, Helen, Anita and June also Carlene Carter (daughter of June Carter) also appeared on the show. Also Tommy Cash the Brother of Johnny Cash appeared on the show. Below I have listed the songs that Johnny Cash preformed on this show. Austin City Limits owes its origins to the lively, adventurous and unconventional music scene that burgeoned in Austin in the early 1970s. Many people involved in the Austin music and broadcasting scene contributed their talents to the early years of Austin City Limits including Director Bruce Scafe, Producer Paul Bosner and then Program Director Bill Arhos. Arhos wrote the proposal to PBS to fund the series' pilot episode. Here's a quick look at some of the musical highlights in the series' history. In 1974 Willie Nelson tapes the pilot performance for Austin City Limits, the new public television program spotlighting the growing music scene in Austin, Texas. Aiming to capture on camera the energy of live music and the experience of the audience and performer, the program was taped in the round. The audience filled the television studio leased by public television station KLRN (now KLRU) at the University of Texas at Austin. Studio 6A became the permanent home for the music series; only two programs have been recorded outside of its doors. Though he was relatively unknown compared to his current international stature, Nelson's program set fund-raising records for PBS stations across the South in 1975. As a result, PBS ordered 10 more programs for 1976. In January 1976, the innovative new music program hits the airwaves bringing the original sounds of Asleep at the Wheel, Townes Van Zandt, B.W. Stevenson, the Charlie Daniels Band, Marcia Ball, Jerry Jeff Walker and more to homes across America. Gary P. Nunn's "London Homesick Blues" is used to open the second season in 1977. The popular theme song soon becomes synonymous with Austin City Limits. Willie Nelson returns for a historic performance of his Red Headed Stranger album, helping make Nelson one of the most popular country music stars of the decade. From Jimmy Buffett to Guy Clark to Larry Gatlin, the series delivers the brightest performers to the home screen. By the third season, Austin City Limits has found its niche. Chet Atkins becomes the first of many major Nashville artists to record a performance for the increasingly popular program. Merle Haggard also takes the stage in 1978. The music continues in Season Four with performances by Tom T. Hall, The Neville Brothers, Delbert McClinton and Pure Prairie League, to name just a few. The 1980s bring a series of milestones for Austin City Limits. Season 5 includes the first Songwriters Special. These round-robin specials featuring several songwriters and artists quickly become a trademark for the program. The first special features Willie Nelson, Floyd Tillman and Friends. The legendary Ray Charles provides another landmark performance in 1980. He is the first major black or pop artist to appear on Austin City Limits. Other notables appearing in Season Five include Roy Clark, Joe Ely, Jerry Jeff Walker, Hank Williams Jr., Marty Robbins, Carl Perkins and Mel Tillis. George Jones, Ray Price, Charley Pride, Leo Kottke and Alabama entertain a growing audience during Season 6. 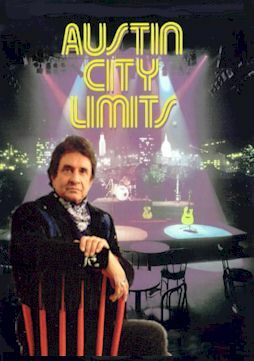 Airing in 1982, the Austin skyline backdrop is first used and becomes the permanent look of Austin City Limits. First time Austin City Limits performances by Rodney Crowell, Emmylou Harris, John Anderson and George Strait highlight this landmark season. Although best known for showcasing great country music, Austin City Limits brings a diverse array of talent and musical styles to the screen. This is evidenced by the Season 9 line-up which includes the legendary country-styled soul of Ray Charles, the infamous rock 'n' roll of Jerry Lee Lewis, the smoky vocals of Bonnie Raitt and the blues guitar mastery of Austin's own Stevie Ray Vaughan. Austin City Limits kicks off its 10th anniversary with a huge celebration in downtown Austin. Bob Wills' Original Texas Playboys reign over a crowd of 5,000 and the performance is broadcast as the premiere episode in 1985. It is the first Austin City Limits ever taped outside the KLRU studio. The Oak Ridge Boys, Neil Young, Waylon Jennings, Glen Campbell, Willie Nelson, Merle Haggard, The Judds and Vince Gill also perform during Season 10. George Jones pulls a "no-show" for a Season 11 taping when his pilot cancels his flight in East Texas. The national media picks up the story and headlines read: "No Show Jones Strikes Again!" Season 11 also marks the first all-female Songwriters Special featuring Emmylou Harris, Rosanne Cash and Gail Davies. The program becomes one of the most popular ever aired. Season 12 brings Rock 'n Roll legend Fats Domino to Austin City Limits, and Lyle Lovett (not including his stint as a backup singer for Nanci Griffith in Season 10) makes the first of many memorable appearances. Other "firsts" include Randy Travis, Kathy Mattea, and Johnny Cash with June Carter and the Carter Family. Rising stars and old favorites steal the show in 1988's Season 13. Reba McEntire and Jerry Jeff Walker perform to an established following, and k.d. lang's outstanding vocals earn her a following all her own. "Old pros" return to light up 1989. George Strait, Emmylou Harris, Dwight Yoakam and Austin's own award-winning songwriter Nanci Griffith are part of the all-star cast. Leonard Cohen tapes his first appearance and the one-hour program becomes the most frequently requested Austin City Limits ever. John Hiatt makes his first appearance, and critically acclaimed masters of Latino rock, Los Lobos, add more spice to the already-hot Season 14. Season 15 brings a breathtaking series of exciting firsts and one unfortunate last. Superstars in the making, Mary Chapin Carpenter and Garth Brooks record their premiere. Folk-rock musician (and Texan) Michelle Shocked and San Antonio native Tish Hinojosa entertain with their own unique styles. Blues legend Stevie Ray Vaughan tapes his stellar final performance. Alan Jackson hits the stage and Season 16 is off and running. Little Feat rocks the house and Kelly Willis showcases her powerful, soaring vocals. Merle Haggard returns to Austin City Limits for a sixth time. Named for a song by Townes Van Zandt, the Canadian country-styled Cowboy Junkies weave a musical tapestry of pop, country and blues. Season 17 begins with an extremely popular all-female Songwriters Special featuring Indigo Girls, Nanci Griffith, Mary Chapin Carpenter and Julie Gold. Vince Gill plays a second time (as a solo artist), and Travis Tritt, Hal Ketchum and Trisha Yearwood make show-stopping first time performances. Season 18 offers a diverse array of talent and styles. From the western swing of Asleep at the Wheel to a "three-peat"by Lyle Lovett and the New Orleans jazz and "voodoo" mastery of Dr. John, 1993 offers something for everyone. An uplifting performance by storyteller Garrison Keillor and the Hopeful Gospel Quartet is recognized for excellence in the annual New York Festivals Competition. Suzy Bogguss makes her debut performance, while Chet Atkins and Johnny Gimble once again prove what it means to be country music legends. The star-studded 19th Season brings back headliners Willie Nelson, Lyle Lovett and Rodney Crowell for a stand-out Songwriters Special and individual performances by step-sisters Rosanne Cash and Carlene Carter. Pianist and singer-songwriter Bruce Hornsby, folk singer Joan Baez and folk-rock artist Suzanne Vega are perfect testaments to the wide spectrum of music on Austin City Limits. The landmark 20th season was one of the most spectacular ever. Country superstars Vince Gill, Alan Jackson and Tammy Wynette join the Neville Brothers, Nanci Griffith and Iris DeMent for a stellar Austin City Limits season. Highlights include the Tejano Music Special featuring Freddy Fender, Flaco Jimenez, La Diferenzia, Rick Orozco and Joel Nava. A Bluegrass Special showcases the talents of Ricky Skaggs, Ralph Stanley and Larry Sparks. Mark Chesnutt, David Ball, Robert Earl Keen, the Mavericks and more deliver unforgettable performances. During Season 21, Austin City Limits continued to showcase the diversity and talent of today's up-and-coming and established musicians. From the season premiere featuring Grammy award-winning Alison Krauss and country legend Merle Haggard to groundbreaking one-hour specials starring B.B. King, the Allman Brothers Band and Asleep at the Wheel, Season 21 delivered spectacular performances by a range of talents. Also in Season 21, a special Sagebrush Symphony performance with Michael Martin Murphey, taped in Oklahoma City, made musical history as the only Austin City Limits taped outside the Lone Star State. Other stellar performances included Pam Tillis, John Prine, Todd Snider, Texans Lee Roy Parnell, Joe Ely, and Lisa Loeb, A.J. Croce, Jimmy LaFave, Los Lobos, Faith Hill, Trisha Yearwood, Clarence "Gatemouth" Brown and Keb' Mo'. Season 21 also includes classic performances by the legendary Roy Orbison, Roger Miller and Marty Robbins. 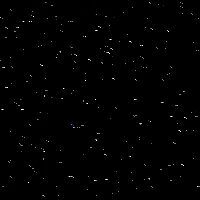 In 1997 Austin City Limits declared itself "this country's music" to illustrate the wide-ranging impact of two indigenous American musical genres, blues and country. Artists featured in 1997 embody the spirit of blues and country, from the soulful country pop of Wynonna, formerly of The Judds, to the blues and country influenced songwriting of rocker Sheryl Crow. Other performances in Season 22 included a Songwriters Special featuring Willie, Waylon, Kris Kristofferson, Billy Joe Shaver and Kimmie Rhodes. Debuts included Texas songwriter Jack Ingram, Wade Hayes, blues guitarist Kenny Wayne Shepherd, Grammy nominees Gillian Welch and BR5-49, Austin's own rhythm 'n' blues diva Miss Lavelle White, and the critically acclaimed alt-country band, Son Volt. Grammy-winning guitarist Eric Johnson, multi-platinum country artist Travis Tritt, songwriter Robert Earl Keen and Lyle Lovett and His Large Band returned to the stage for new performances, as did bluesman Delbert McClinton. An Austin City Limits classic featuring Bill Monroe honored the late bluegrass pioneer and offered TV audiences a rare look at his unparalleled artistry. Austin City Limits Season 23 premiered with an encore performance by Junior Brown, who's self-styled guit-steel guitar makes him one of contemporary music's few innovators. A sharp songwriter with a biting sense of humor, Robbie Fulks makes his debut. Boogie-woogie piano queen Marcia Ball, blues singer Tracy Nelson and soul legend Irma Thomas share the stage for an hour-long special, and Grammy Award-winning jazz and vocal quartet The Manhattan Transfer perform with bluegrass virtuoso Ricky Skaggs and Asleep at the Wheel. Loretta Lynn returns, as does Nanci Griffith with Buddy Holly's Crickets. Since its pilot Austin City Limits has wowed audience with its honest look at American music. The show celebrates its 25 years of American music this year with a provacative line-up including the underground band Phish. Stay tuned for more because the show just keeps doing what it captured so well 25 years ago.